If you are looking for a great way to perform workouts, crossfit is one of the best options for you. It is an effective way for you to attain the level of fitness that you want. In addition, you will also be able to maintain this fitness and live a healthier life. Here are several health benefits of crossFit. One of the major benefits of crossFit is that you do not just focus on one type of workout. It involves combination of different types of workouts including gymnastics, cardiovascular exercises, weightlifting and others. With more workouts involved, you can be assured that you also get wide rage of results that are beneficial for your body. The other great thing is that you do not just do similar workouts everyday. You will be involved in different workout styles meaning that you do not get bored, so you are motivated and engaged at all times. Crossfit can help boost your hearth health. This is because your heart rate will remain high as you perform the different workouts. With good heart health, it means that the risks of cardiovascular diseases are also reduced. Some of the healthy risks reduced include heart attack, heart failure, high blood pressure among others that affect people who live a sedentary lifestyle. Another great benefit you get is increased mobility of your joints. As you do the workouts you will be moving your body parts daily. By doing this, you make your body to have stronger joints that contributes to the overall strength of your body. Some of the workouts that help boost your joint mobility include squats. The workouts that you perform go a long way in boosting your overall well being. This is because more intensive workout help stimulate production of endorphins that help elevate your mood. Therefore, if you feel stressed or depressed, crossFit has the ability to help get rid of these emotional problems. The workouts also help you develop a more positive outlook in your life. If you perform the workouts in a regular manner, it means that your blood and oxygen will move all over your body in a more efficient manner. The blood and oxygen will move to all organs in your body including the brain. This is a great way to ensure that your mind is revitalized, thus boosting your memory. 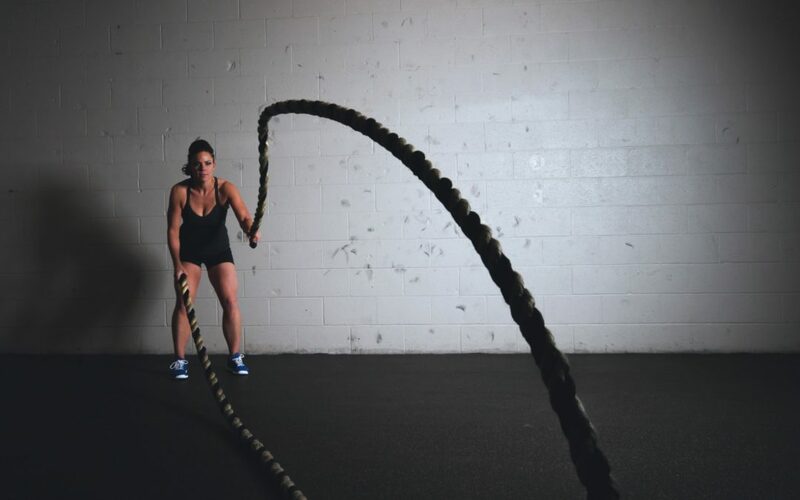 Engaging in crossFit workouts makes you active. People who are active physically usually have low risk of diabetes and other lifestyle diseases. The workouts make your body gain the ability to utilize sugar for energy production, thus reducing the need for insulin. The other benefits you get include increased energy levels, pain relief, enhanced bone density, improved sleep and high level endurance. To get all these benefits, make sure that you have a good routine on how you undertake the crossFit workouts. Develop a plan and you will attain high good health and fitness.